Employee wellness programs in the workplace have been shown to work with some success in the United States, particularly when participation is tied to substantial incentives like a reduction in health insurance premiums for participating employees. In Canada, as a result of the publicly funded health care system, incentives for employers and their employees to participate in such programs are primarily focused on the goal of becoming healthier -- and the programs are few and far between, despite evidence showing their effectiveness. Now, following the evaluation of a year-long workplace wellness program, a new paper published by researchers from McGill University in the March issue of the Journal of Occupational and Environmental Medicine highlights the benefits of such programs for Canadians. “Health promotion and disease prevention through healthy lifestyle changes are poorly supported in our health care system, where the medical focus is primarily on medication or other forms of medical care,” notes Dr. Steven Grover, Director of the McGill Comprehensive Health Improvement Program (CHIP) and the study’s senior author. “Employee wellness programs are therefore much less common in Canada and published reports showing the results of a program of this nature are very rare,” adds Dr. Grover, who is also a Professor in the Department of Medicine at McGill and the Director of the Centre for the Analysis of Cost-Effective Care at the Montreal General Hospital. 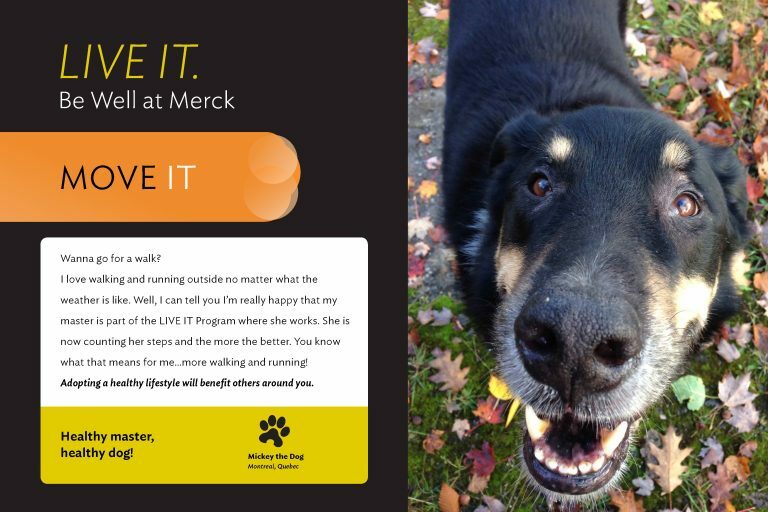 To conduct their study, the researchers collaborated with Merck Canada Inc., who in 2014, with strong senior management support and dedicated resources, launched a comprehensive wellness program called LIVE IT. The researchers set out to establish baselines for participants through health screenings conducted at the beginning of the program, asking participants to track their activity and evaluate the results at the end of one year. From a pool of 730 eligible employees, 688 registered for the program. While not all those who signed up stuck with the program for its duration, 66% tracked their activity for more than 6 weeks. “To our knowledge, these are the most impressive results published to date in a Canadian setting, on a large group of employees, with follow-up results after one year,” says Dr. Ilka Lowensteyn, Clinical Research Director at CHIP, Adjunct Assistant Professor at McGill and the lead author of the study. Participants who completed a second health assessment after the first year showed significant improvements in systolic blood pressure and reductions in poor sleep quality, high emotional stress and fatigue. “These improvements in physical and mental health measurements are very important clinically. We were also able to demonstrate a dose response effect where the employees who participated the most were also the ones who improved the most,” adds Dr. Lowensteyn. Subsequent programming will continue to encourage physical activity but will also address healthy eating, weight loss and stress management say the researchers. Ongoing follow-up will evaluate the sustainability of the lifestyle changes adopted by participating employees and will assess the financial costs and benefits associated with this type of program to gain a better understanding of the potential clinical and economic impacts. Merck Canada provided funding for this program, which was developed and previously evaluated, in part, through grants from the Canadian Institutes of Health Research, and on-site at the McGill Comprehensive Health Improvement Program, a not-for-profit program located at the Snowdon Y.